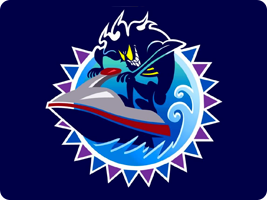 Starting out as a little-known Game Boy jetski racing game, Wave Race didn't really take off until the release of Wave Race 64, which acted as a showcase for the graphical and technical ability of the Nintendo 64. It was the layers of play, more than anything, that attracted players to the game - to really play well you could pull off stunts, learn small control nuances (eg. travelling in slipstreams), and so on.